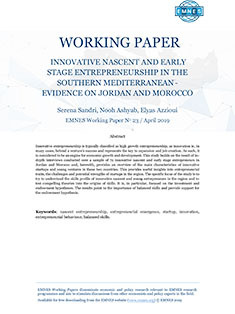 In the aftermath of the 2011 Arab uprisings in the southern Mediterranean, the region has reached a turning point in its history, presenting as many opportunities as challenges. 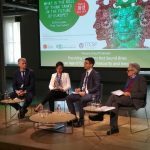 The Arab world has now embarked on a transition process of varying magnitudes, whose outcome will be determined by the interaction between a number of economic, political, socio-cultural and geopolitical factors calling both on governments and external actors to redefine policies and strategies able to cope with the new realities unfolding in the region. External actors – notably the EU, which has a role to play as being an important economic partner of the region – are expected to rethink their policies towards the region as past political and economic choices proved to be suboptimal to steer the region into a sustainable future. 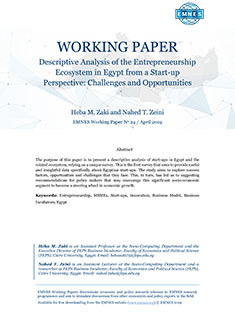 Most of the research produced on the south-Mediterranean countries before the 2011 uprising failed to reveal the growing socio-economic tensions, hampered by inefficiency and low productivity, inadequate institutional capacity, market fragmentation and lack of integration, below-potential foreign direct investments and weak contribution of small and medium enterprises. This situation led to persistently high levels of unemployment, especially among the youth including most notably the educated ones who found themselves trapped in the poorly devised policies and strategies, combined with increasing inequality and poverty and lack of engagement, which turned to become the seeds of revolts and revolutions and ultimately contributing to exclusion and unsustainability. 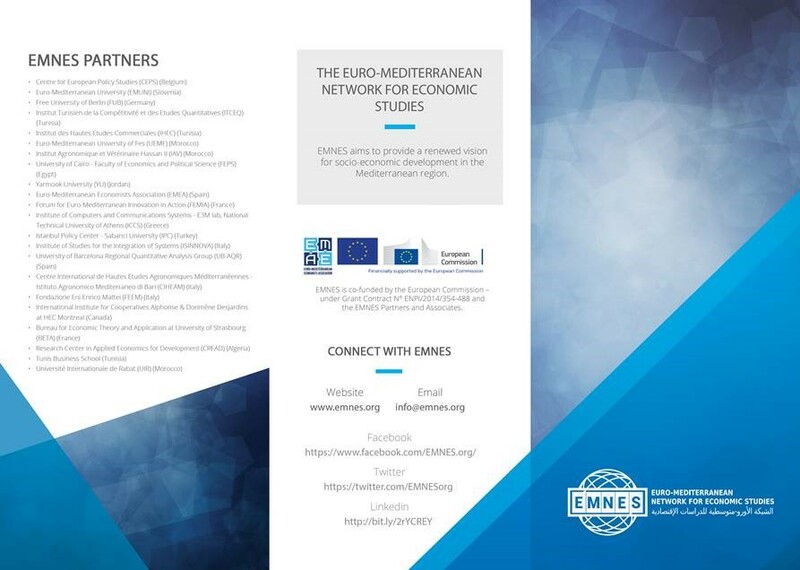 The Euro-Mediterranean Network for Economic Studies (EMNES) is a network of partners and associates research institutions and think tanks working on socio-economics in the Euro-Mediterranean. EMNES builds on the research work of Euro-Mediterranean Economists Association (www.euromed-economists.org) and the Mediterranean Prospects Network (www.medpro-foresight.eu). 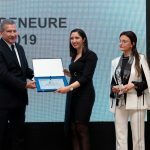 EMNES research and outputs in underpinned on the four fundamental principles: Independence, Scientific Excellence, Policy Relevance and Deep Knowledge of Euro-Mediterranean Affaires will build a renewed vision for socio-economic development in the south Mediterranean countries, with a focus on employment creation, social inclusion, and sustainable development. 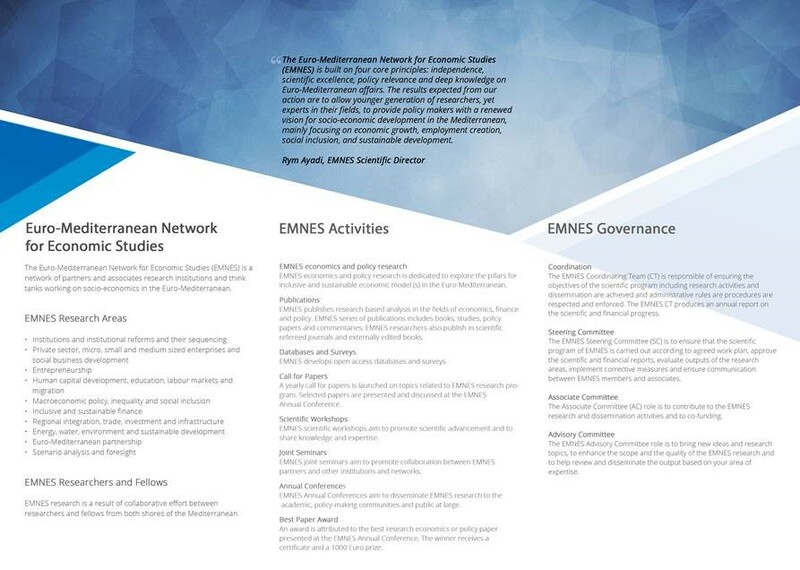 EMNES will develop research activities, disseminated through series of internal and external publications (working papers, policy papers, commentaries and books) and the organization of annual conferences, and workshop meetings to bring together leading researchers, policy makers and representatives of the civil society to discuss and debate optimal policies for the future of their region.